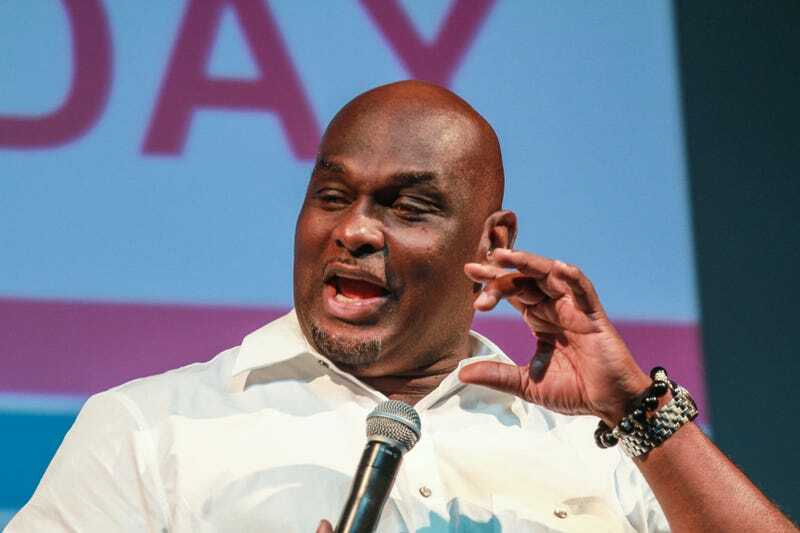 Tommy Ford speaks at the ABFF Community Day on June 19, 2016, in Miami. Tommy Ford, best known as the beloved “Tommy, you ain’t got no job” character from TV show Martin, spoke with a certain peaceful resignation about life and death in a recently uncovered interview. TMZ posted audio of what appears to be Ford’s last interview ever with Xcellence Community Magazine founder Angella Banks. The gossip site says it seems as if Ford almost wrote his own eulogy. In the interview, Banks asked Ford about being 51, saying, “It’s not that old, and you’re starting to live life,” but Ford had a somewhat different take. Tommy Ford died of a ruptured aneurysm Oct. 12. He was 52 years old.